Red Wine, Green Tea and Dark Chocolate: Anti-Inflammatory Drugs Reduce Effectiveness of SSRI Antidepressants. Anti-Inflammatory Drugs Reduce Effectiveness of SSRI Antidepressants. Scientists at the Fisher Center for Alzheimer's Disease Research at The Rockefeller University, led by Paul Greengard, Ph.D., and Jennifer Warner-Schmidt, Ph.D., have shown that anti-inflammatory drugs, which include ibuprofen, aspirin and naproxen, reduce the effectiveness of the most widely used class of antidepressant medications, the selective serotonin reuptake inhibitors, or SSRIs, taken for depression and obsessive-compulsive disorder and anxiety disorders. This surprising discovery, published online this week in the Proceedings of the National Academy of Sciences, may explain why so many depressed patients taking SSRIs do not respond to antidepressant treatment and suggests that this lack of effectiveness may be preventable. The study may be especially significant in the case of Alzheimer's disease. Such patients commonly suffer from depression and unless this can be treated successfully, the course of the illness is likely to be more severe. 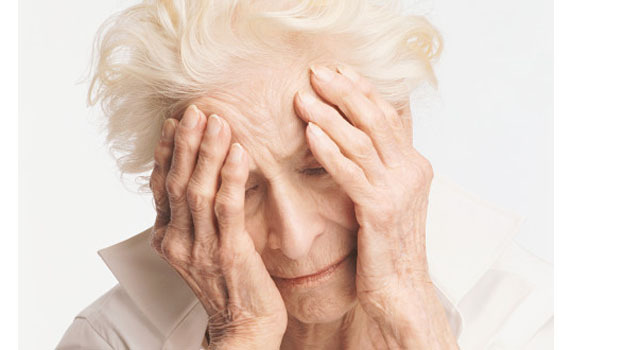 Depression in the elderly is also a risk factor for developing Alzheimer's disease and researchers have suggested that treating depression in the elderly might reduce the risk of developing the disease. This research was supported in part by grants from the National Institute of Mental Health and the National Institute on Aging, both parts of the federal government's National Institutes of Health, and The Fisher Center for Alzheimer's Research Foundation.